Domestic violence is defined as a violent and criminal act by an individual against another individual within a certain relationship. This can be spouse to spouse, cohabitant to cohabitant, parent to child, child to parent, or partner to partner. Domestic violence is defined as abuse or threats of abuse within a past or present relationship. The relationship doesn’t have to be “romantic” for an act to be considered abuse – domestic violence can occur between roommates, two people related by blood, or simply people who used to date. Even abuse against a pet is considered domestic violence. California laws define domestic abuse as physically or trying to physically hurt someone (either recklessly or intentionally), instilling a fear of being physically hurt, sexual assault, and behavior such as stalking, harassing, threatening, destroying someone’s personal property, or even disturbing someone’s peace. Domestic violence charges may be pressed in any of these cases, so it’s important for you to know your rights in these situations. When the police are called to the scene of a domestic disturbance, a detailed police report will be filed. In most cases, witness statements are obtained and a criminal background check will be run on the person accused of domestic violence. Further investigation may involve the District Attorney’s Office, and a prosecutor will decide if a formal domestic violence charge needs to be filed. 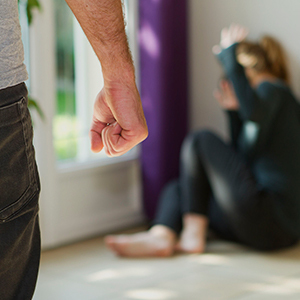 California law enforcement aggressively pursues accusations of domestic violence, and as a result you’ll need a lawyer who can fight back just as hard. If you’ve been arrested, don’t wait – get in touch with an experienced criminal defense attorney knowledgeable in domestic violence crimes. People argue all the time. No one is perfect, and perhaps you simply lost your cool one day. Maybe the person accusing you has blown the situation way out of proportion, and now you’re facing serious criminal charges because of a misunderstanding. Or perhaps it’s a case of “it’s not what it looks like.” Don’t let this be you. A criminal charge, even a misdemeanor, will be a black mark on your personal record, and can inhibit tasks we typically take for granted. Don’t let the threat of a domestic violence charge ruin your future. Call the Law Offices of Brian A. Newman at (424) 275-4014 and let an experienced criminal defense attorney handle your case. We serve all of Torrance and Los Angeles County.